Cypress CHDMI-4 is a high performance HDMI distribution amplifier. 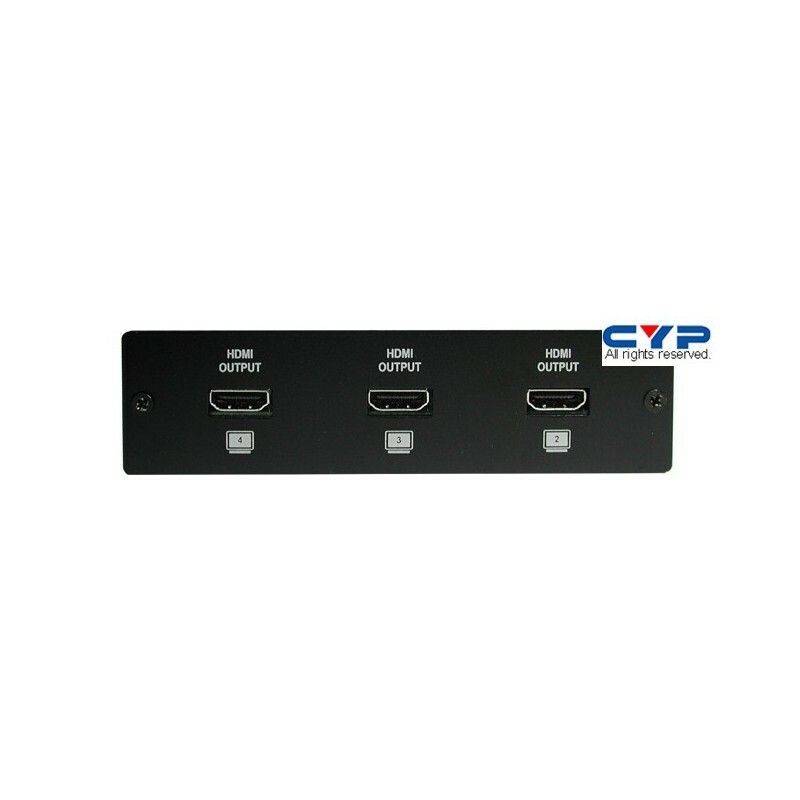 It allows one HDMI source to connect up to 4 HDMI displays simutaneously. 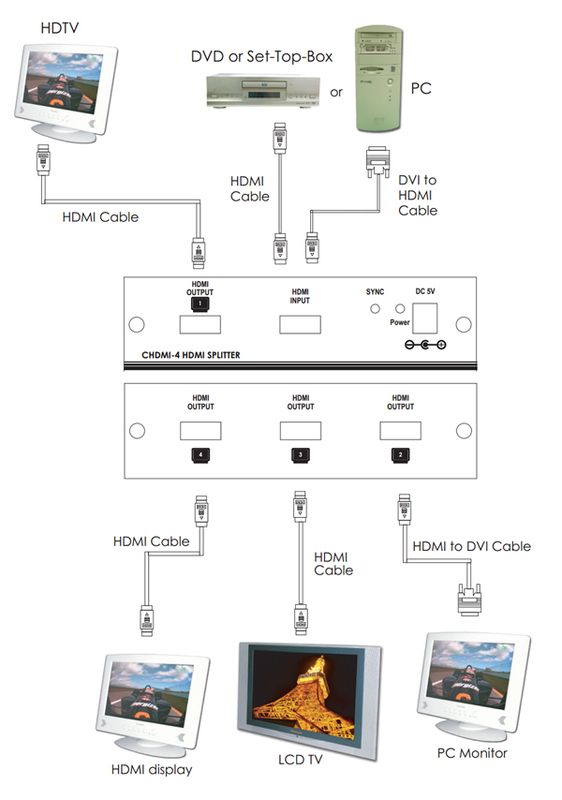 Built-in EDID simulator and HDCP keyset allows each output to work independently when connecting to a HDMI display. Splits a HDMI source up to 4 outputs without signal loss. 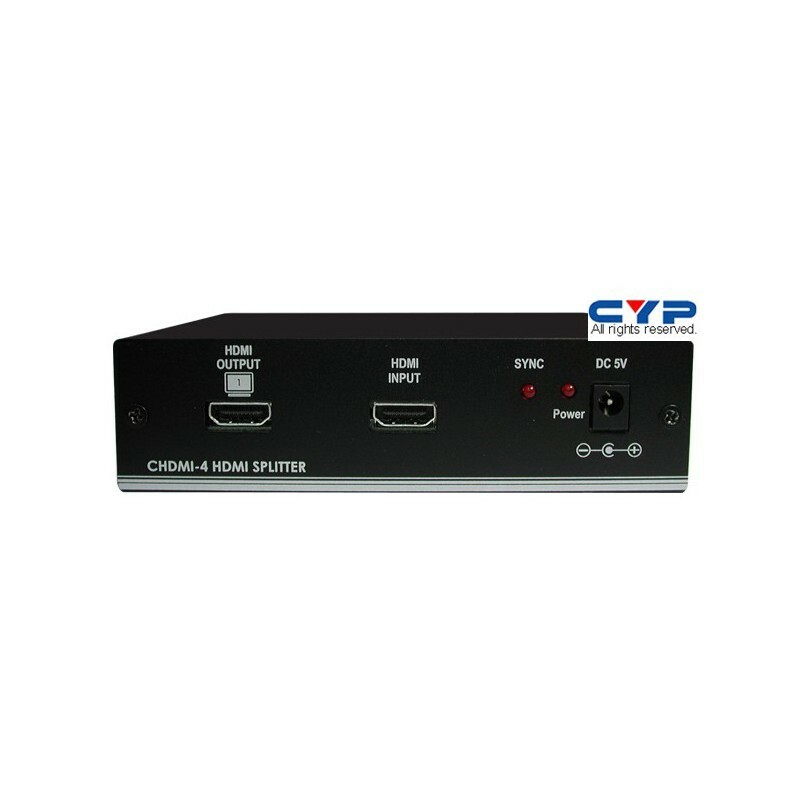 Supports a wide range of PC and HDTV resolutions from VGA to UXGA and 480p to 1080p. Maximum resolution bandwidth 165MHz. Each of the buffered output can run up to 15 Meters @1600x1200.